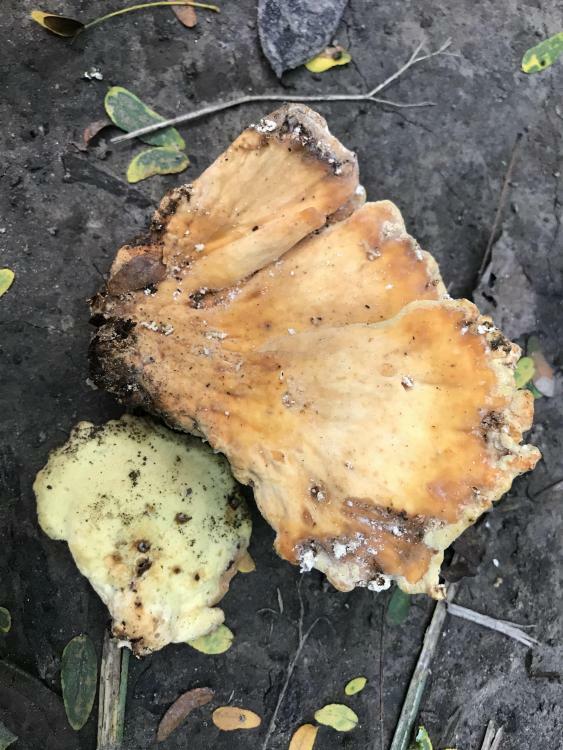 It does look like an older Leatiporus sulfurous. 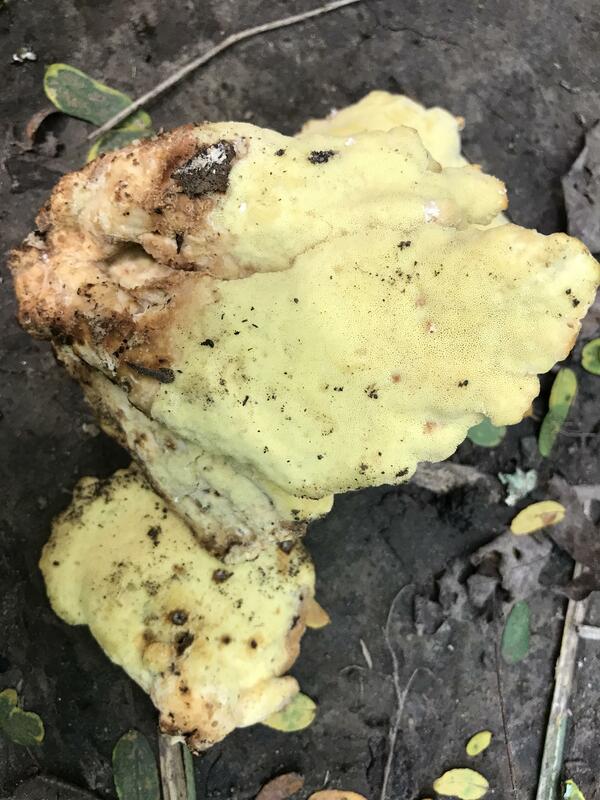 "Chicken of the Woods"
Seems to be chicken of the woods, but definitely too far gone to eat. Come back to this same log next year and maybe you'll have more luck. 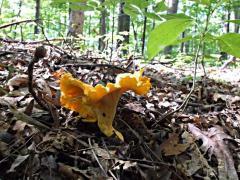 The mission of the Hoosier Mushroom Society is to promote the science of mycology and the study of fungi.